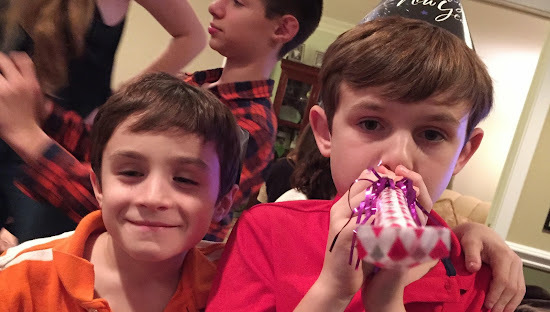 15 Things That Need to End in 2015 | Daddy's in Charge? It's amazing how much changes when the calendar flips from December 31st to January 1st. Everything is fresh and new and we can all start over with our lives. No more do we have to think about how horrible the past year was and we can all look forward to the exciting things that lie ahead. Or something like that. The truth is the new year really doesn't mean that much. Sure it's a good time to reflect and think about what you want to change going forward, but in actuality not much really does. Everyone goes to the gym for a couple of weeks, they lose a few pounds, then they fall of the wagon, stop going to the gym and gain it all right back. It seems everything is like that though. We all talk about how much we want to change in the new year, but things usually end up pretty much the same as in years past. But there are some things that HAVE to change in the New Year. 2. People that talk on SPEAKERPHONE. Seriously?! I don't want to hear both ends of your conversation. It's bad enough that I have to hear what you are saying and now you want me to hear what your Aunt Shelia is saying too. Next time I see you I hope it's at Home Depot so I can smash your phone with a hammer. 3. People that autopost from Twitter to Facebook. There is no reason. It's two different social mediums; treat them as such. Never should an @ be found on Facebook. 4. Chewing gum in public. It's disgusting. Have you ever driven past a cow pasture and seen all the cows just sitting there chewing? That's what you all look like. 5. Arguing politics online. Has there ever been a political argument online where one side realized the error in their ways and completely flipped their opinion. The next time it happens will be the first. Everyone has an opinion and everyone is wrong. 6. People not getting vaccinated. It's stupid. I just got my dog shots so that she wouldn't die of distemper. Why wouldn't you get a shot to prevent your kids from dying of a potentially fatal disease? 7. Racism. I know that this is impossible. As long as two people don't look like each other there will always hate amongst the races. It makes no sense to me though. Look at a group of kids playing with each other. None of them care about what the other person looks like, they just want to play. Why can't adults be like that? So stop teaching your kids to hate each other. 8. Gun violence. I don't want to take away your right to have a gun, far from it. If you want to carry one that's fine. I just want to make sure that you are doing it in the safest way possible and that a person who shouldn't own a gun doesn't. There is no need for someone to be carrying a gun in a Walmart store so that their two year old can kill them with it. There is no need for you to walk into an Arby's with an AK-47. I will never understand why people say that the only way to stop a bad guy with a gun is a good guy with a gun. It seems we hear too often about the bad guys and not enough about the good guys. More guns is NOT the answer and instead of not talking about things and sitting behind the Second Amendment, lets have a human discussion. 9. Cops shooting unarmed people. I've heard too many stories like this. I know that being a cop is not the easiest job in the world and that their next shift could possibly be their last, but we hear about these types of stories far too often. I don't know how cops are trained to handle certain situations, but pulling up to a 12 year old in the park and killing him in two seconds is not the way to go. 10. People shooting the police. Stop it. It does nothing to further your cause. The only thing that it does is make things exponentially worse for everyone. 11. Poverty/ War/ whatever other unattainable goal. We can try, but this is never going to happen. Seven billion people living on a rock in space where two thirds of it is covered by water? There are just too many people and too many of them want to be in charge. 12. Talking about Stay at Home Dads as if Working Moms don't exist. I'm a stay at home dad for no other reason than my wife is a freaking rock star. Sure there seems to be more of us SAHDs every year, but that would also mean that there are more households with the working mom as the sole breadwinner. Lets hear some stories about them and their struggles for a change. 13. My dog pooping on the floor. It might not rank up there with some of the others, but it's something that really needs to stop. She knows where the door is, she knows how to let me know she has to go, she needs to stop dropping deuce on the dining room floor. Newborn puppies are harder than newborn babies. 14. Group texts. Please don't include me in one. I barely care about your original text and I am certainly not going to care about seven one word responses from people I don't know. The only way to truly put an and to this is for people to stop hitting "Reply All." You have that option, use it. 15. List posts. They are lazy ways to write things and they are oversaturated in our society now. I get it that people will invest their time though when they know they only have to read 15 things.